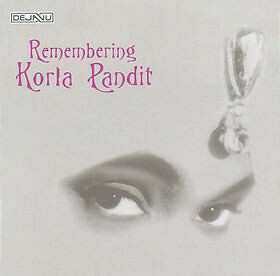 Korla Pandit is known by many (read: some) as the Godfather of Exotica, the goofiest "genre" of music outside of Funk-Rock. However, Pandit's music is from pure novelty. A legend of early television, particularly on the West Coast, Pandit's music, while often incredible, is still incomplete without the imagery of his program, which often just consisted of Pandit staring into the camera, hypnotizing the viewer with his soul-piercing eyes and returning the Gaze back at the viewer. The story of Korla Pandit claims that the man was born in New Delhi, India to a Brahmin priest and a French opera singer, while growing up in England and learning the piano. It's a romantic tale that, along with his television show, plays on our grandest Orientalist fantasies. However, in reality, Pandit was not actually Indian, but really just a light-skinned Black dude from St. Louis, as RJ Smith revealed in his article in Los Angeles magazine "The Many Faces of Korla Pandit." Lack of authenticity does not detract from his craft, however. Pandit dazzles with his unique brand of exotica, playing original compositions of faux-Indian/Middle Eastern music or Western standards on his Hammond organ. The music itself is excellent, but when combined with the gaze of that beturbaned brown fellow is just overwhelming. The standards he performs, like "Miserlou" are interesting enough, but his original pieces are the most exciting. My personal favorite is "Trance Dance," but the self-referential "The Hypnotist" and "Turkish Dance" are not far behind. This may be too out there for some, but I highly recommend this collection, particularly if you're a fan of exotica (though, you've probably already heard Korla Pandit), old keyboards, or for folks who are just in the mood for something different. Pandit is one of the most interesting figures in early television and, hey, at least he'll be forever immortalized in Tim Burton's Ed Wood.